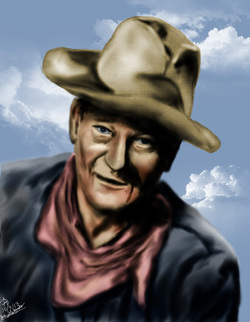 After doing all the portraits I did for this guy, I decided to do him again this time as a digital painting. This is my latest digital painting as of this post (10/3/13). This painting does show how much I am improving with my portrait skills.